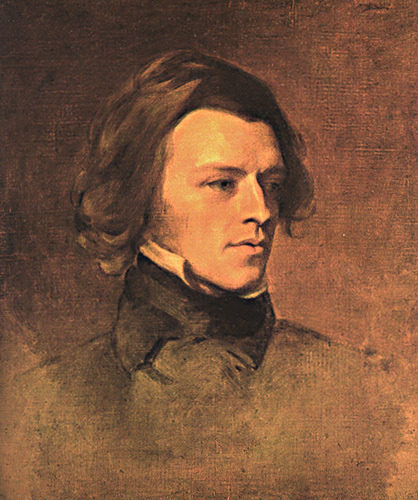 Here’s the link to my commentary on the Tennyson poem mentioned in Skyfall! It’s a lovely day outside today, but I’ve decided to write about one of the most depressing poems I’ve ever read. However, it is my favourite, and it’s by Lord Alfred Tennyson (a bit of a legend). It’s called Mariana, and I studied it for an English exam a while back. Whenever it was mentioned I got just that little bit too excited, which looking back is slightly embarrassing. To be honest, I still get excited by it. It sounds amazing read aloud, and so here is a YouTube reading by a guy with a rather scary voice if you fancy it. Alternatively, you can just click here to read the poem. Anyway, the poem is about an incredibly isolated woman named Mariana, who is suffering from lost love. She spends her days lamenting her lost connection with society, and in the end can only foresee consolation in death. It’s interesting for me to read, as I’ve had trouble with what may or may not have been agoraphobia, and also social anxiety. Mariana is a bit of an extreme case, but still. If you’re feeling down, try and look for the positive things around you (they are there). Here are some ideas: your family, friends, health, home, possessions (to an extent), memories, ambitions and dreams. Perhaps if Mariana had been awake during the day and left the “lonely moated grange” once in a while, her life wouldn’t be so rubbish. I need to listen to my own advice and leave the house more. Also, that guy that Mariana pines over clearly wasn’t worth the trouble. She’s a bit of a Miss Havisham, really, and that can never be a good thing.